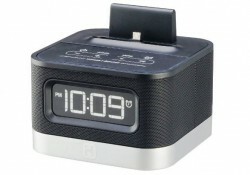 This multi device docking station is basically an alarm clock and radio with a built in feature of two USB charging ports and an AUX port for audio intake. 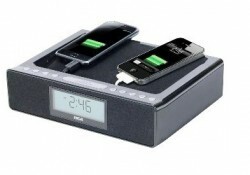 Many people find this device quite useful because it can charge two devices at once and the surface where those devices sit is quite large so it easily fits two android phones or a tablet computer. 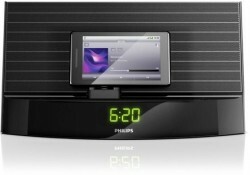 The smallest of Philips Fidelio series android docking stations. 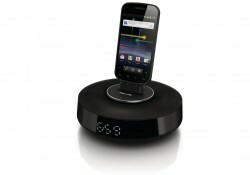 Has got built in digital clock, loudspeaker, adjustable micro USB plug for android smartphone charging and bluetooth audo streaming.